It was 19 years ago tomorrow when Netscape Communications illuminated the World Wide Web for millions of people and catalyzed what became the dot.com boom of the late 1990s. 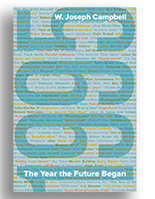 Netscape did so with an IPO, the initial public offering of its shares; it proved to be a decisive moment of the watershed year that was 1995. 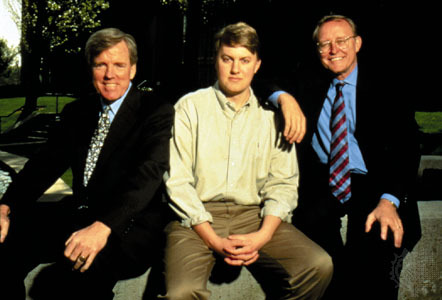 The IPO took place August 9, 1995, following a multicity roadshow in which Clark, Andreessen, and James Barksdale, the gentlemanly CEO, pitched Netscape to would-be investors. By conventional measures, Netscape hardly seemed a likely candidate for a robust IPO. The company was just 16-months-old and hadn’t turned a profit; indeed, its losses in the first two quarters of 1995 topped $4 million, and further losses were forecast. But it did have a commanding share of the then-emergent Web browser market and its principal figures — Clark, Andreessen, and Barksdale (or, as they were sometimes called, “Clark, Marc, and Bark”) — were engaging and colorful in disparate ways. “I did everything I could to package Marc and Clark,” Mike Homer, Netscape’s vice president of marketing, recalled 10 years later in an interview with Fortune magazine. “We had this cool guy [Andreessen], and the other guy [Clark] is like Yoda. It’s so good as a story for the press. Even though August traditionally was not a time favorable for an IPO, Netscape pressed ahead. Its IPO, underwritten by Morgan Stanley and Hambrecht & Quist, was for 5 million shares, priced at $28 per share. But for nearly two hours on the morning of August 9, an order imbalance kept Netscape shares from being traded: Demand for the stock was that heavy. Finally, Netscape opened — at $71 per share, and climbed as high as $74.75 a share before settling at day’s end at $58.25. In time, the 1995 IPO came to be known as the “Netscape Moment,” a blockbuster stock offering that captures wide attention and produces broad effects. The “Netscape Moment” was not to last. Later in August 1995, Microsoft introduced the first, crude version of its Internet Explorer browser, signaling the start of the “browser war” that Netscape would lose. In 1998, Netscape was acquired by AOL in a stock transaction ultimately valued at $10 billion. This entry was posted on August 8, 2014 by W. Joseph Campbell in 1990s, Internet, Netscape, World Wide Web and tagged 1995, Early Web, Internet, IPO, Netscape, Watershed year.